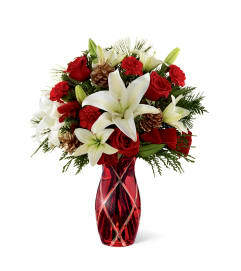 The FTD® Holiday Wishes™ Bouquet exudes sophisticated seasonal styling to help celebrate the Christmas season! 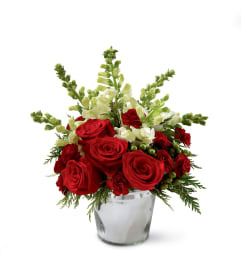 Rich red roses are brought together with white Asiatic lilies, burgundy mini carnations, and accented with an assortment of lush holiday greens to create a fantastic holiday flower arrangement. 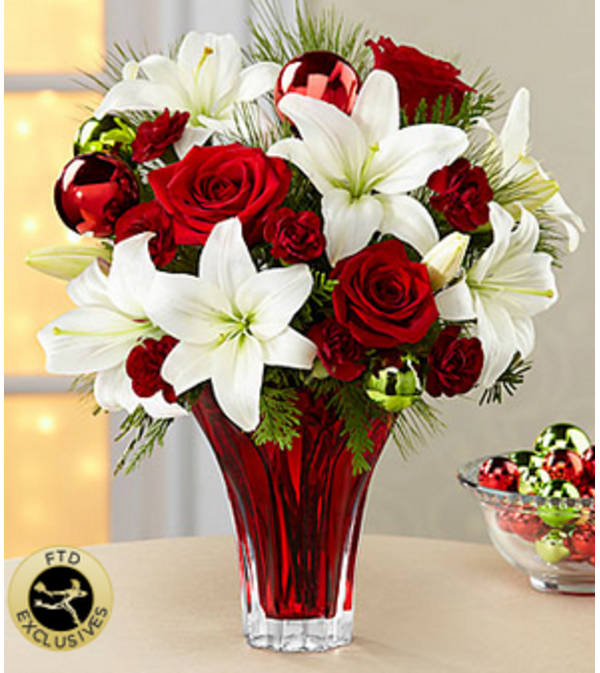 Presented in a designer ruby red glass vase and embellished with shining red and green glass balls throughout the arrangement, this mixed flower bouquet in an incredible way to express your warmest wishes for the holiday season ahead.